Global Forensic Services, LLC is owned and operated by Larry F. Stewart. Additional consultants are brought in as needed to provide the best overall service available. It is believed that this practice provides the best forensic services available to assist you in solving the mystery at hand. Specializing in ink dating, handwriting analysis, art dating and as a questioned document expert. 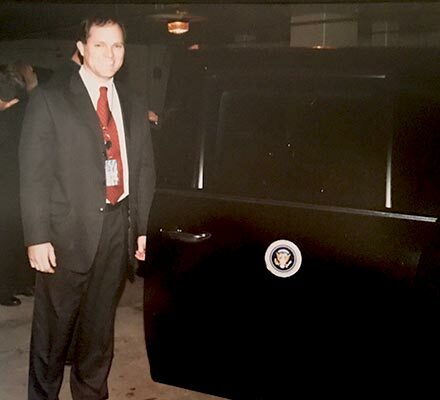 Larry Stewart has over 35 years experience conducting forensic examinations for state and federal agencies as a forensic scientist for the Bureau of Alcohol, Tobacco and Firearms, the United States Secret Service and now in private practice. He is offering his experience and knowledge to you. He has earned an Associate of Arts degree from Florida Technological University in Orlando, a Bachelor of Science in Forensic Science from the University of Central Florida, also in Orlando and a Master of Forensic Sciences degree from Antioch University in Yellow Springs, Ohio. Mr. Stewart worked for the U.S. Government as a forensic scientist for over 25 years and now in private practice for over 10 years. During that time he has worked on many notable cases to include; the Unabomber, the John Wilkes Booth diary, numerous accused Nazi war criminals, e.g. John Demanjuk, a.k.a. Ivan the Terrible, the reinvestigation of the Dr. Martin Luther King murder, the reinvestigation of the Kennedy assassination/CIA conspiracy theory, the Quedlinburg Treasure, the 1933 Saint-Gaudens Double Eagle gold coin, the Jon Benet Ramsey murder investigation, and more recently, the 9/11 terrorist attack, the DC Sniper case and the 2010 Brazilian Presidential election scandal. He has testified as an expert witness in state, federal and military courts of law, as well as in foreign court systems to include; Austria, Australia, Canada, Germany, Sri Lanka and Thailand. He has also testified at The Hague in the Netherlands and three times as an expert before the U.S. Congress. 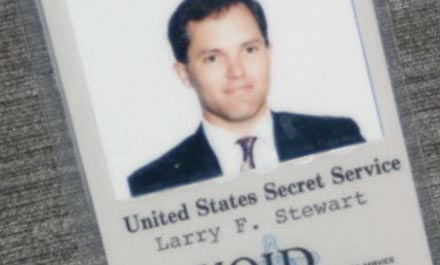 While in the government, Mr. Stewart most recently held the position of Laboratory Director and Chief Forensic Scientist for the United States Secret Service. During his career, he has worked some of the most difficult cases imaginable. These often are avoided by some examiners as they routinely bring the strongest levels of scrutiny and cross examination. As a result of his testimony in the Martha Stewart trial, he was formally charged with perjury and then subsequently found “not guilty” by a jury. Mr. Stewart has always prided himself on his integrity and ability to handle the most difficult of casework. Whether your mystery involves questioned documents, handwriting, ink or questions regarding age, give us a call. Participated as a "referee" in the 1980 Crime Laboratory Proficiency Training Program Forensic Sciences Foundation, Colorado Springs, Colorado Testified in May of 1989 and 1990 before the Subcommittee on Oversight and Investigations of the Committee on Energy and Commerce, U. S. House of Representatives. These matters concerned the investigation of fraud in science. Certified by the US Secret Service as an accredited Examiner of Questioned Documents, February 1, 1991. Recipient of the Health and Human Services Inspector General's Integrity Award, 1991. Appointed Chairman of A.S.T.M. task groups (1991) concerned with developing standards for performing "Writing Ink Comparisons" and "Writing Ink Identifications." United States Delegate at the 14th European Meeting on Currency Counterfeiting, The Hague, The Netherlands, October 9-11, 1991 and the First International Conference on Fraudulent Documents, Ottawa, Canada, April 27- May 1, 1992. United States Delegate at the 6th European Conference for Police and Government Experts, London, United Kingdom, October 2-4, 1996. Presented a paper on Ink Dating, Relative and Absolute: New Approaches to Old Problems. Testified on July 22, 1999 before the House Judiciary Committee, Subcommittee on Immigration and Claims, U.S. House of Representatives. This matter concerned detection and prevention of counterfeit documents. Classified as an “Inspector” for the American Society of Crime Laboratory Directors. 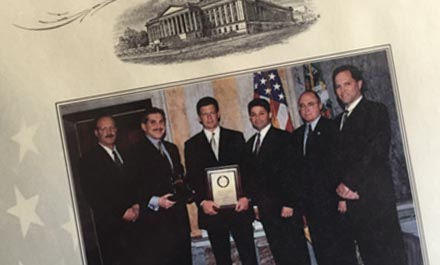 Elected to the Board of Directors for the American Society of Crime Laboratory Directors, September 14, 2000. Elected to the Board of Directors for the Document Security Alliance, December, 2003. Certified as a Certified Forensic Consultant (CFC) by the American College of Forensic Examiners (ACFEI) in 2007. Appointed as the forensic consultant for the United Nations, tasked with developing and implementing a successful forensic laboratory in Nigeria, Africa, 2007. US State Department advisor on matters concerning questioned document analysis, 2008 to present. Published two books in 2009, one on Identity Theft and the other on Document Examination. The books may be purchased by request through email at contact@stewart4n6.com.